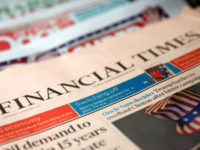 Guardian Media Group has said it will not sign up to the new contract-based system of press regulation proposed by the main newspaper and magazine industry trade bodies as it stands. In a letter to Newspaper Society and Newspaper Publishers Association director David Newell, the Guardian and Observer publisher has warned that signing up to a regulator which does not have the support of either Parliament or the victims of past media excesses would be “futile”. 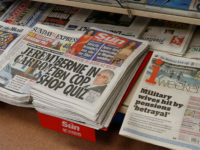 Last month the main newspaper and magazine industry trade bodies invited more than 200 publishers to support the Independent Press Standards Organisation (IPSO) as a successor body to the Press Complaints Commission (PCC). IPSO follows the blueprint set out in a Royal Charter put forward by publishers’ body Pressbof, which is currently being considered by the Privy Council. The plan has been rejected by campaign group Hacked Off and differs from the proposed regulator backed by Parliament and set out in a rival Royal Charter which has yet to go to the Privy Council for approval. Specifically, IPSO proposes to give more influence over regulation to publishers and makes the creation of a libel disputes arbitration service optional. Any new press regulator must have the approval of a Royal Charter-backed recognition panel if it is to protect members from the threat of exemplary damages in libel actions as set out in Crime and Courts Act 2013. Publishers were invited to give feedback about IPSO by the end of last month. According to the Newspaper Society, the "overwhelming majority" of publishers support IPSO and only a handful responded to the consultation – mostly raising points of detail rather than "fundamental objections". The FT, which had been a critic of the Pressbof Royal Charter, has signalled its support for IPSO in an editorial. Independent editorial director Chris Blackhurst told Press Gazette that his group still has reservations about the IPSO plan but has yet to finalise its response. But GMG chief executive Andrew Miller sets out four areas of “real concern” about the proposed new regulator in his letter. Independence: GMG believes that the independence of the proposed new regulator is “critically undermined” by the powers granted to publishers via the Regulatory Funding Committee (the successor body to Pressbof which funds the PCC). Large publisher control: Under IPSO, publishers can have their say on what the Regulatory Funding Committee does in their name via a voting system, with votes allocated according to the amount of money they pay in to the system. The Guardian is concerned that the system could be unfair to smaller nationals, regional and magazine publishers. Investigations and the polluter-pays principle: Miller expressed concern that the new regulator does not adhere to the “polluter pays” principle because it does not require those who breach the code most often to contribute more to its costs. Arbitration: GMG believes the libel disputes arbitration scheme should be compulsory: "We agree that participation in arbitration for members should be optional but the regulator’s decision to run the scheme should not be optional." Concluding his letter, Miller noted that it remains “ambiguous” when publishers will be required to lock themselves into the new system by signing contracts. We will not sign any contract before there is clarity on the system of recognition being pursued irrespective of whether the specific points above have been resolved. These documents have been constructed to match the criteria of the industry's proposed Royal Charter. However given the Prime Minister’s recent comments to the House, we believe it is unlikely that the industry's charter will be passed by the Privy Council. Therefore to sign a contract to join a regulator unlikely to be recognised seems futile. More broadly, for the industry to propose a system that does not enjoy support from either the main political leaders or the victims of press intrusion seems counter-productive. An implementation group of publishers’ representatives is due to meet in September to discuss feedback on the IPSO consultation. Lord Justice Leveson is also set to appear before MPs on the culture committee in September. His views could be a key factor in deciding whether the Government will be prepared to change its stance and approve a press regulation Royal Charter which conforms with the IPSO plan. UPDATE (7/8/2013 – 9am): Campaign group Hacked Off has signalled its support for GMG's position. 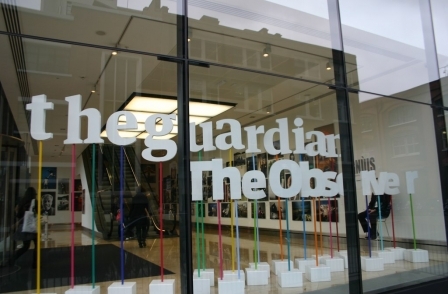 We welcome the Guardian's decision to reject a press regulation scheme that would fall far short of the Leveson recommendations – and also far short of what the public, the victims of press abuse and all parties in Parliament agree is necessary. Coming as it does from the paper that bravely exposed the phone hacking scandal, this is a clear signal to the proprietors of the big national newspaper groups that they must think again. As the Guardian points out, their IPSO scheme would not be effective and would not be independent. Instead it would reproduce all the faults of the discredited Press Complaints Commission. Every opinion poll confirms that the public will only endorse a self-regulator that genuinely meets the Leveson criteria, and whose regulatory standards are upheld through regular external inspections by an independent body representing the public's interests. That is the arrangement that all parties in Parliament have approved through the Royal Charter, and it is for proprietors and editors now to accept that that is the only legitimate way forward. It is also the only way to protect ordinary people from the kinds of abuses that made the Leveson Inquiry necessary, and the only way to bear down upon the kinds of unethical conduct exposed by that Inquiry. And the Leveson scheme poses no threat whatever to freedom of speech.